AS Roma are set to take on Ukraine side Shakhtar Donetsk in the UEFA Champions League round of 16 tie first leg match on Wednesday night, 21 February 2018. The game will be played at the Metalist Stadium in Donetsk, Ukraine. AS Roma will be favourites going into the tie since they play the second leg at home. However, Shakhtar Dontesk have been superb in the group stages and will pose a real threat to Italian side. The game will kickoff at around 20:45 CET / 19:45 uk time alonside United’s trip to Sevilla. Paulo Fonseca has assembled a very good squad with Shakhtar Dontesk and they won all there home games in the group stages including that famous win over Manchester City, Shakhtar home record will be a real worry for AS Roma who usually struggle on the away european trips and have only won once in the last 12 away games in this competition. First leg is very important and Shakhtar must get some positive result to take back to Italy have Italians come out of their comfort zone. 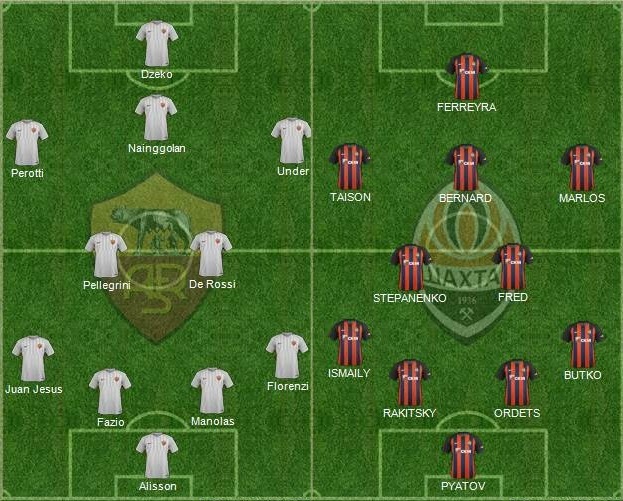 Team News & Possible Lineups: As far as the team news is concerned, Shakhtar will be full strength with only one absentee of Darijo Srna who failed a drug test and won’t be part of the Champions League this season. AS Roma on the other hand are coming into this game on the back of three consecutive wins and will fancy their chances of getting something of this game. This is how I expect both teams to lineup on Wednesday night. 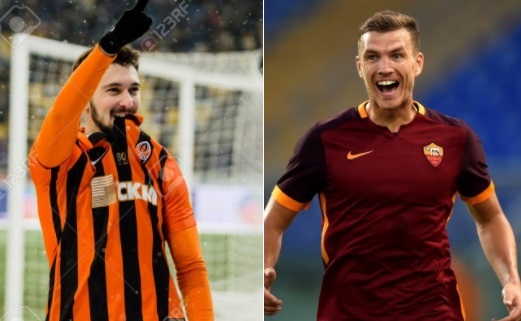 Eden Dzeko to start upfront for Roma while Ferreyra to lead the forward line for Shakhtar. Match Predictions: Shakhtar Dontesk are a decent side at home and unlike other European giants they have had a break and should be fresher of the two teams. Not playing in their own stadium might be a worry but considering they won all three home games in group stages they will be confident of getting the better of goal shy Roma side. I am going with a 2-1 win for Shakhtar a result which will keep the tie in balance going into the second leg.